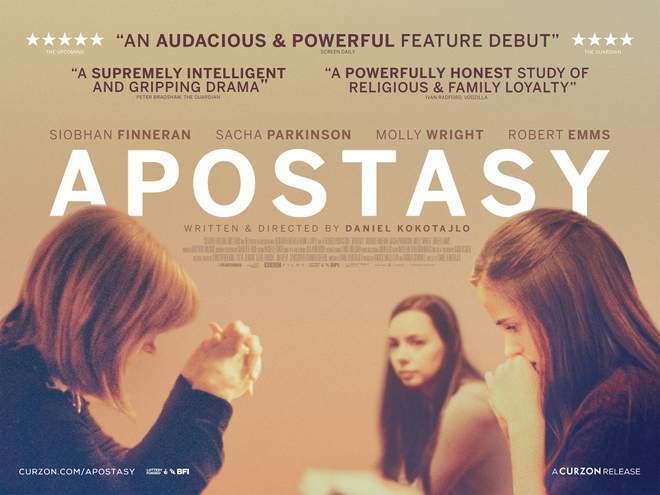 Apostasy, released in September 2017, is a full length cinema movie about life as a family of Jehovah’s Witnesses. Award Winning Actress Siobhan Finneran, who played the troublemaking maid “O’Brien” in the infamous tv series, Downton Abbey, plays a lead role as the Jehovah’s Witness mother of two girls. The movie is an hour and a half, and is reviewed as a gripping, honest, and intelligent portrayal of the reality of being a Jehovah’s Witness. 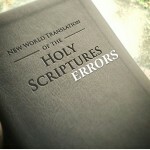 It is based on a recording of a reinstatement meeting found by the film’s Director who grew up as a JW. 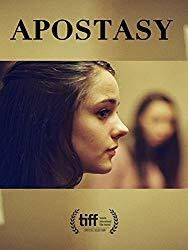 Apostasy is a very real depiction of the issues and struggles of a Jehovah’s Witness and those who are Ex JWs. The movie is acceptable watching for all religions and people who wish to get a “fly on the wall” view of what really goes on behind closed doors in JWs. 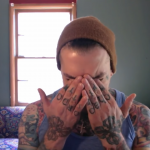 The Apostasy movie does not interject opposing views of other churches or denominations, but rather shows life as it happens for this JW family who is faced with a disfellowshipped member, and one who suffers medical problems requiring a blood transfusion. Mother is devout and unyielding in adherence to the Organization, and tries to lead her daughters in like manner, to keep them from going astray into the world. 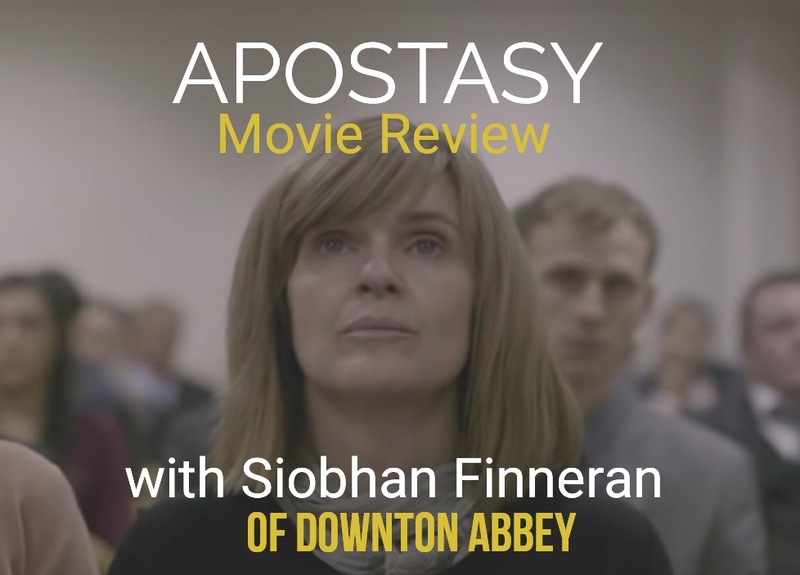 Siobhan Finneran plays an outstanding leading role in Apostasy and truly captures the character of a distraught Jehovah’s Witness parent. With one daughter also strictly devoted and the other daughter doubting the religion after becoming pregnant, the movie effortlessly keeps the viewer’s attention glued to the screen. 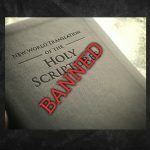 It certainly leaves an impact, and allows for all ages to learn just how far Jehovah’s Witnesses will go to earn their salvation, in route to the post Armageddon “new system”. The Apostasy movie is written and directed by Daniel Kokotajlo. There is only 1 curse word in the movie. There are no suggestive or inappropriate scenes or content in Apostasy. 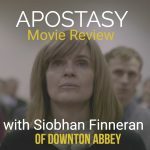 Apostasy has our 5 Star rating. We recommend the viewing through Amazon, especially for Prime Members, who can watch the movie for free. Don’t have Prime? You can click here and pay to view the movie without a Prime membership. Or start with a free trial of Amazon Prime .